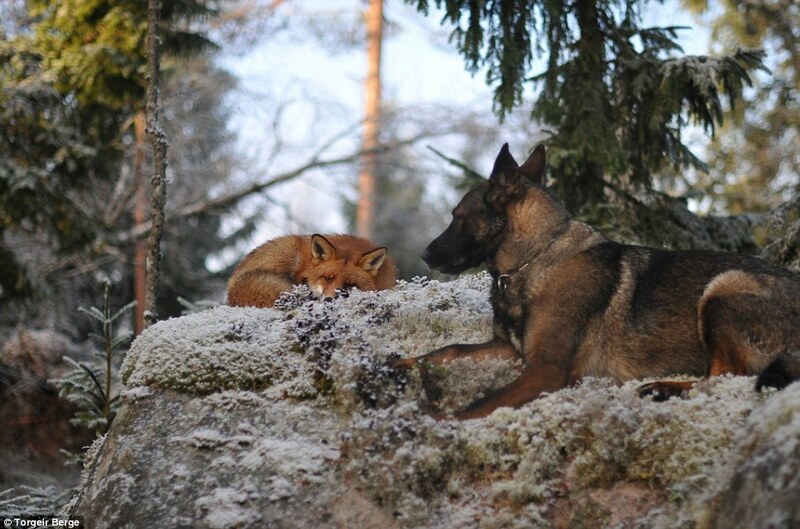 They are the real life fox and hound, their touching relationship proving that friendship can survive despite background and social pressure, or in the case of these two, natural instincts. 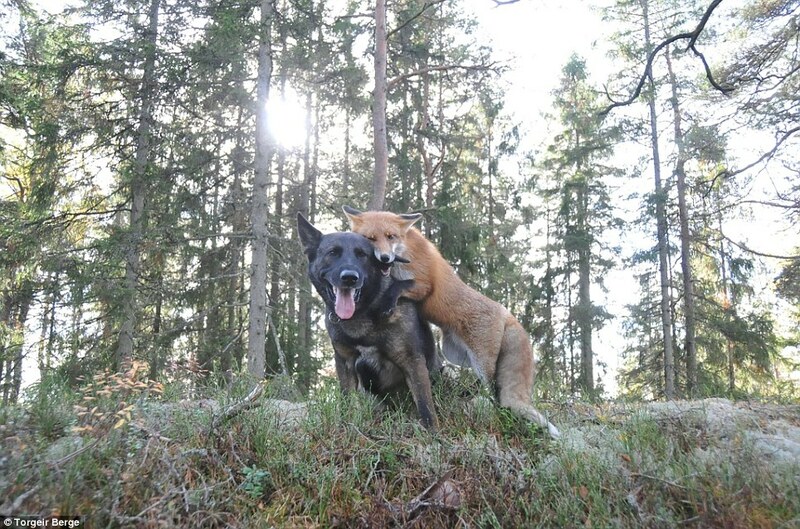 Sniffer the wild fox and Tinni the domestic dog met by chance one day in the woods of Norway and their very unlikely friendship blossomed. 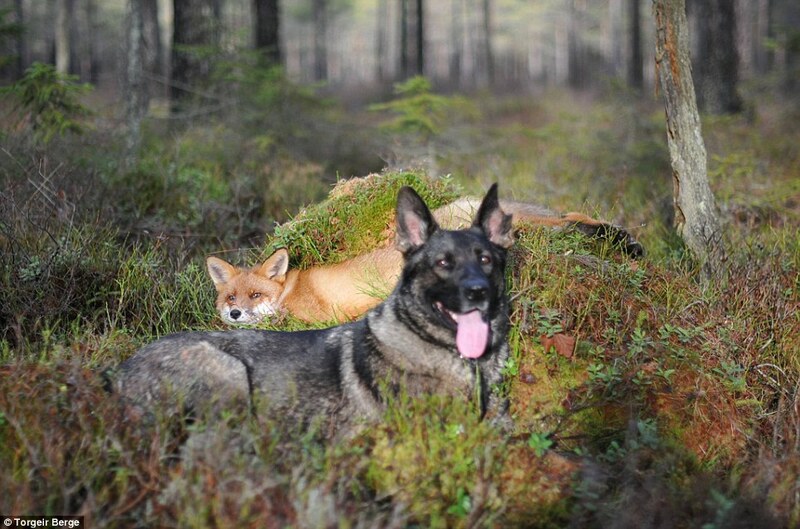 Tinni's owner who lives in the forest with his dog, is photographer Torgeir Berge and he has been at hand to capture every heartwarming moment between the two best of friends as they frolick and roll in the secluded woods. More so, Berge noted how similar his dog and Sniffer were and his thoughts on Norway's controversial fox-fur trade changed so much that he is now campaigning to have it banned. 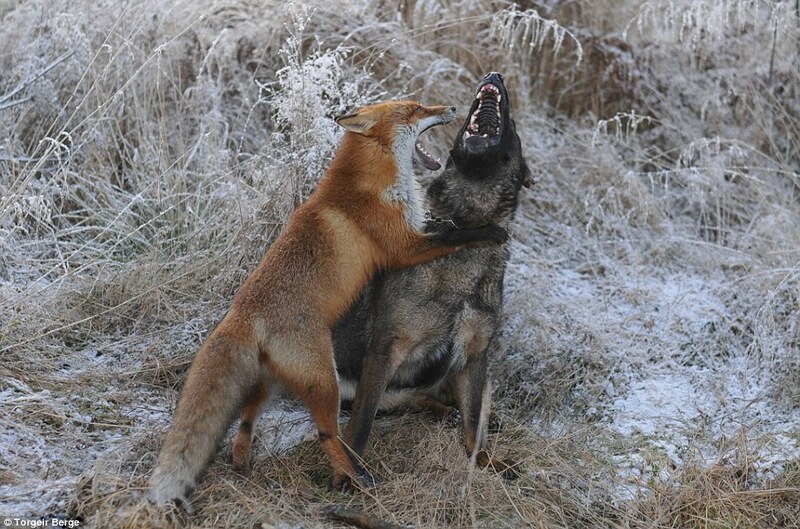 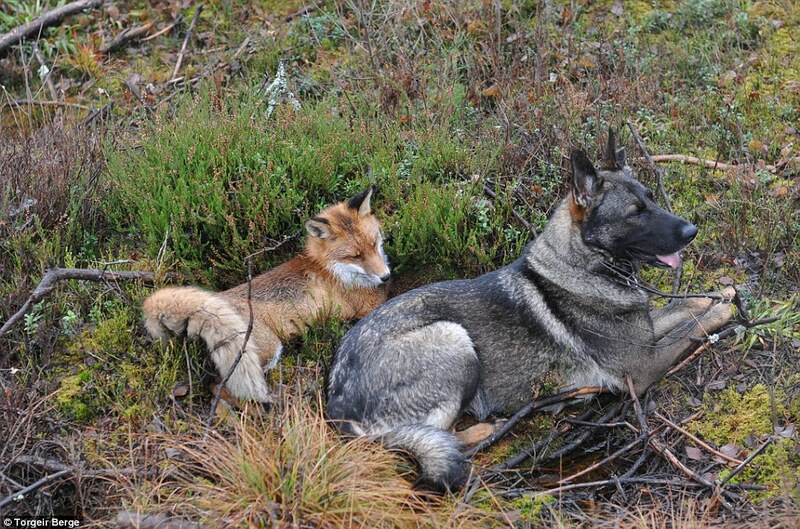 Berge observed 'how similar foxes and dogs actually are' and labels the fox, the 'dog of the forest'. Berge will donate a large portion of the proceeds from the book to help his conservation and anti-fur trade campaign. 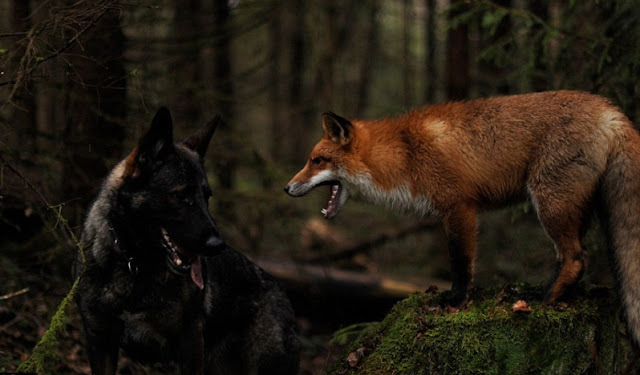 The talented photographer objects to the conditions that some animals, including foxes are kept in before they are slaughtered for their fur. 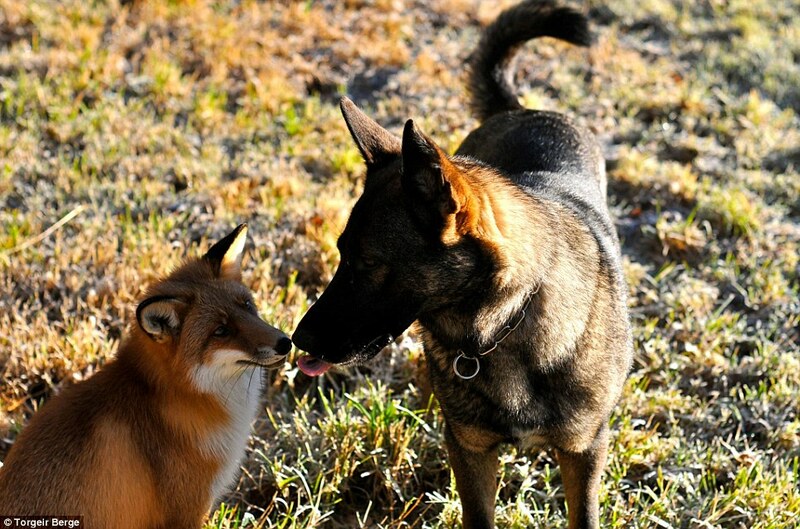 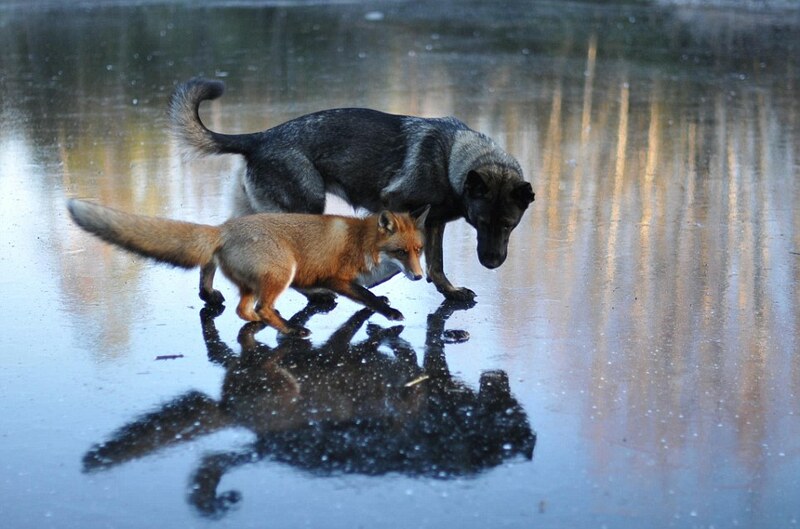 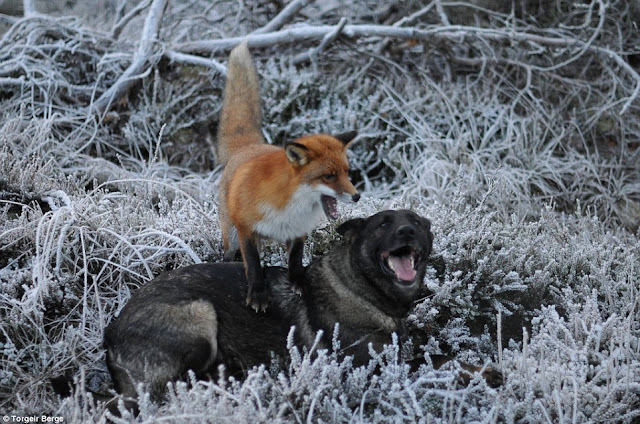 Responses to "Adorable friendship between a wild fox and a dog in the woods of Norway"